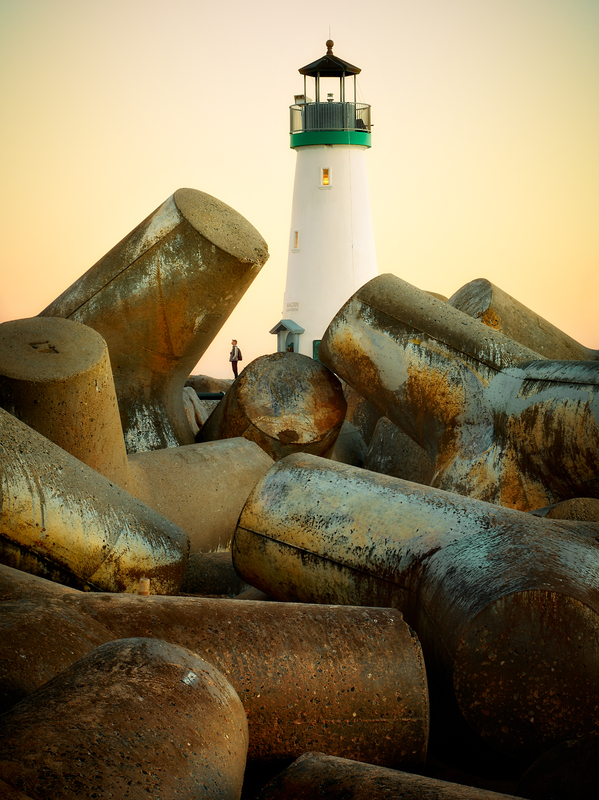 Walton Lighthouse and tetrapods in Santa Cruz, California. Tetrapods form a breakwater and protect the Walton Lighthouse in Santa Cruz, California. Rebuilt in 2001, the Walton lighthouse is one of two lights in Santa Cruz and is located at the mouth of Santa Cruz Harbor. In winter months the spray of the pounding surf freezes covering the walk to the lighthouse in ice.